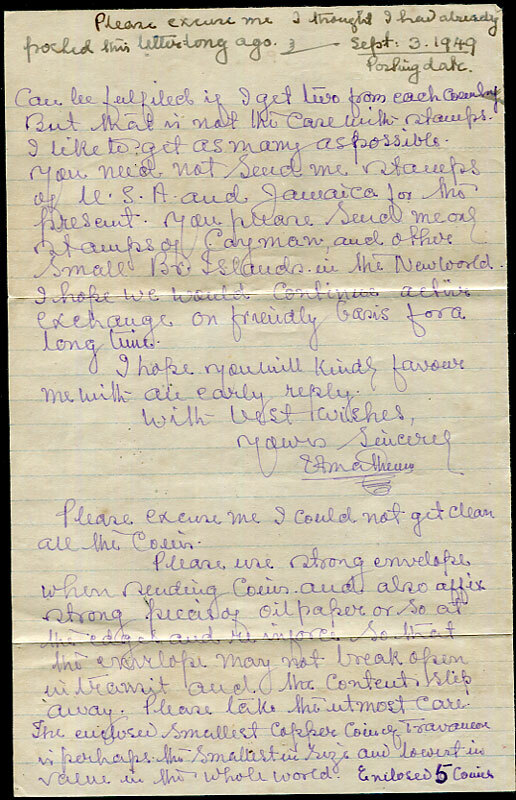 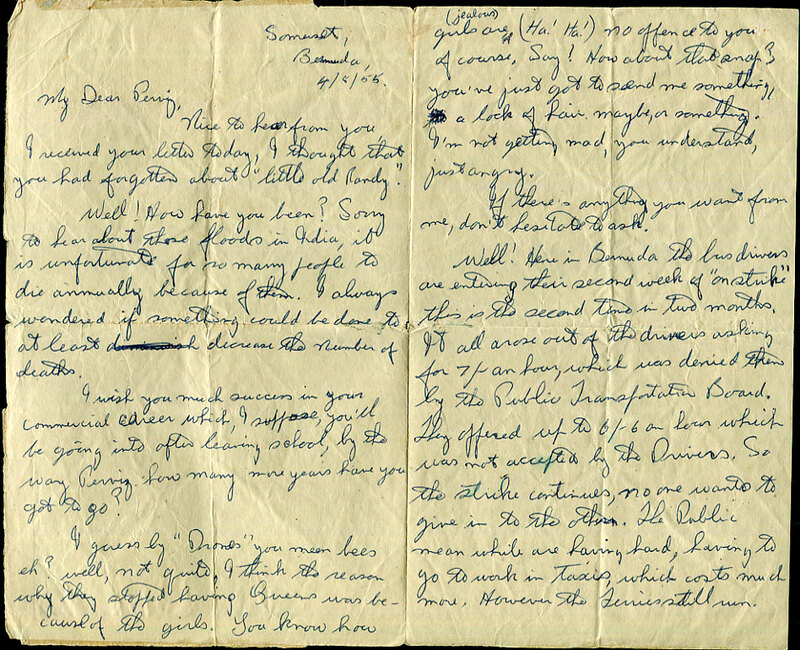 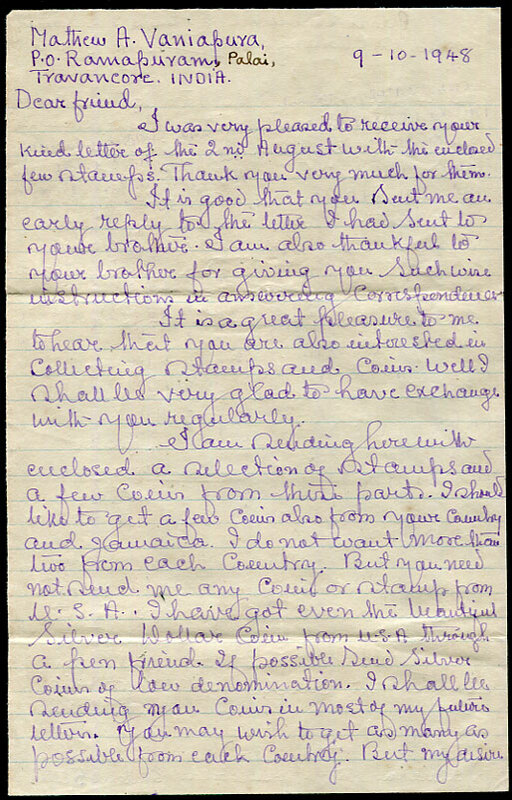 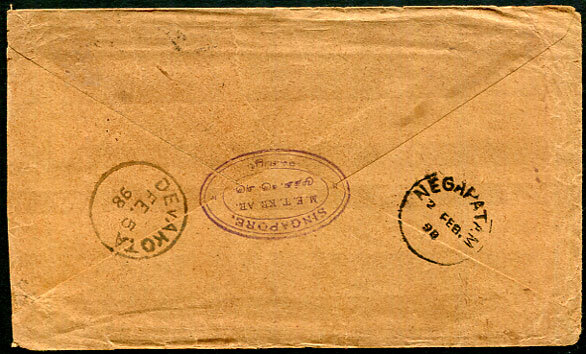 1955 (AU 15) use of KG6 6d Air Letter up-rated with mixed reign QE2 3d for Kurla, Bombay, India, newsy full letter mentioning bus drivers on strike for second time in two months for 7/- and hour. 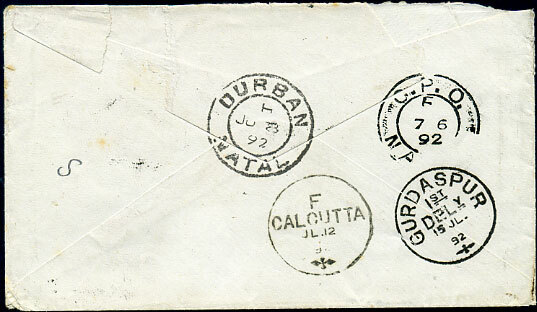 (22mm N) cover dated JU 6 92 with QV ½d, QV 1d pair, QV 2d to Gurdaspur, Punjab, India, parts flap removed. 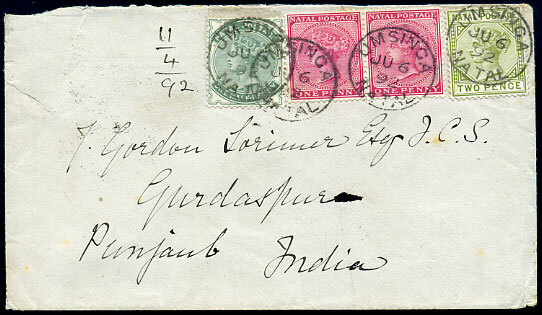 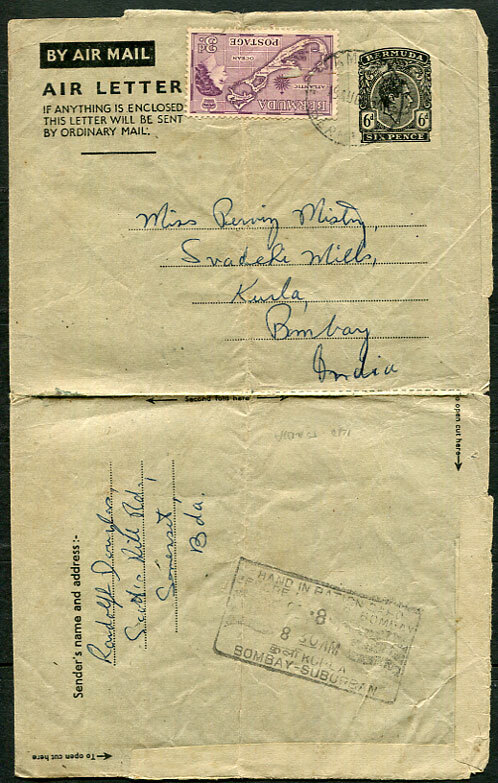 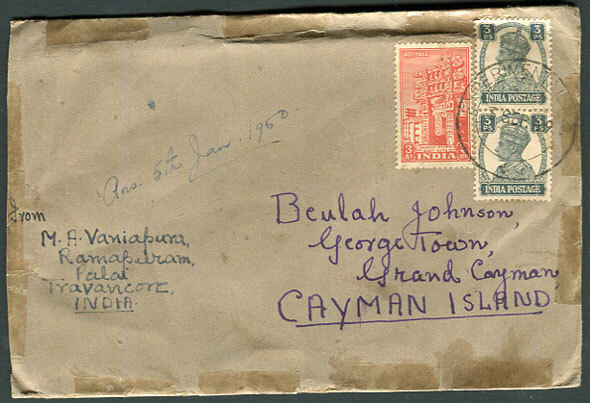 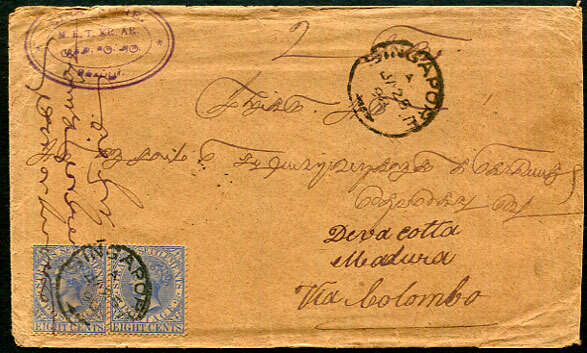 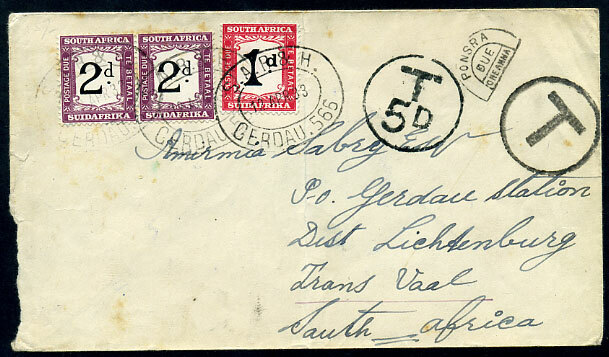 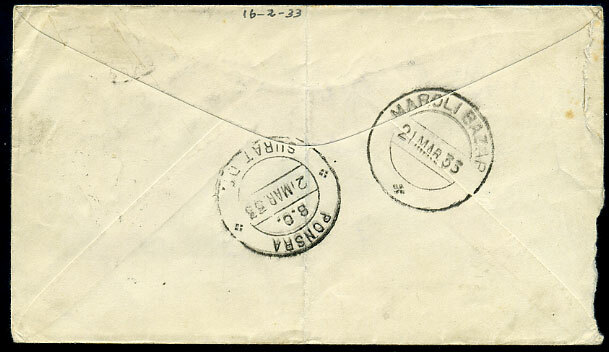 stampless cover b/stamped MAROLI BAZAR 21 MAR 33 with One Anna Due h/stamp added PONSRA, further tax h/stamps confirming 1d, pair 2d Postage Dues required tied 12 APR 33 arrival, some toned perfs and ragged opening at left.